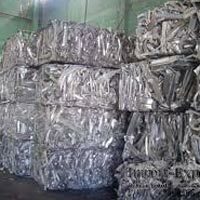 We can be contacted for purchasing Aluminum Extrusion 6063 Scrap as per the requirement. The Aluminium Scrap 6063 is collected in different sizes and thicknesses which include 100% pure Aluminum doors, windows extrusion, old alloy aluminium sheet and sheet utensil and many more. The scrap is stringently examined on various parameters to ensure optimum customer satisfaction. Our Aluminium Extrusion Scrap 6063 is widely acclaimed for high purity and quality. We ensure safe delivery of Aluminum Extrusion 6063 Scrap owing to our modern transit facilities. Also, this scrap is reasonably priced. As reputed 6063 Aluminium Extrusion Scrap Exporters, we ensure that customers get their orders on time. We stress on achieving 100% customer satisfaction.